"Julie I was sad to hear.about Bear. He was such a gentle soul. We have had quite a y…"
"Glad to see things happening it has been too long without any movement. I know Julie…"
Helena Brown replied Jul 2, 2017 to Ready to get this blog going!!!!! "Boy that was one brave Pug, though not unusual. I have always disagreed with the boo…"
Helena Brown replied May 28, 2017 to Who says Pugs can't provide protection? "Hi Jackie, just found this and appropriately Guido in his Santa outfit. He is lookin…"
"Jackie,I just noticed this, how are you and Guido doing? As you can see we are still…"
"Mary as I do not have a situation where my dog cannot use the whole park it is inter…"
"Loved the egg, I imagine I would have mixed feelings about Easter if I was an egg.…"
"Right look at the left hand of the page you are on under groups, you may have to go…"
"She is a bit on the high side but better on the lean than the plump. We always say t…"
Helena Brown replied Feb 18, 2015 to PUG LOVERS!! Love dog apparel, but hate the cost? "I am smiling at this, I cannot buy Hektor anything, nothing fits, he got a coat via…"
Helena Brown replied Feb 17, 2015 to PUG LOVERS!! 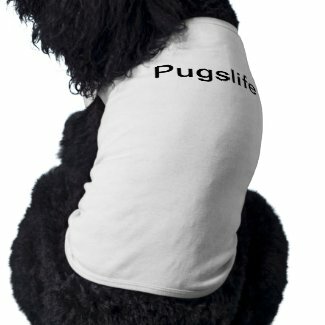 Love dog apparel, but hate the cost?